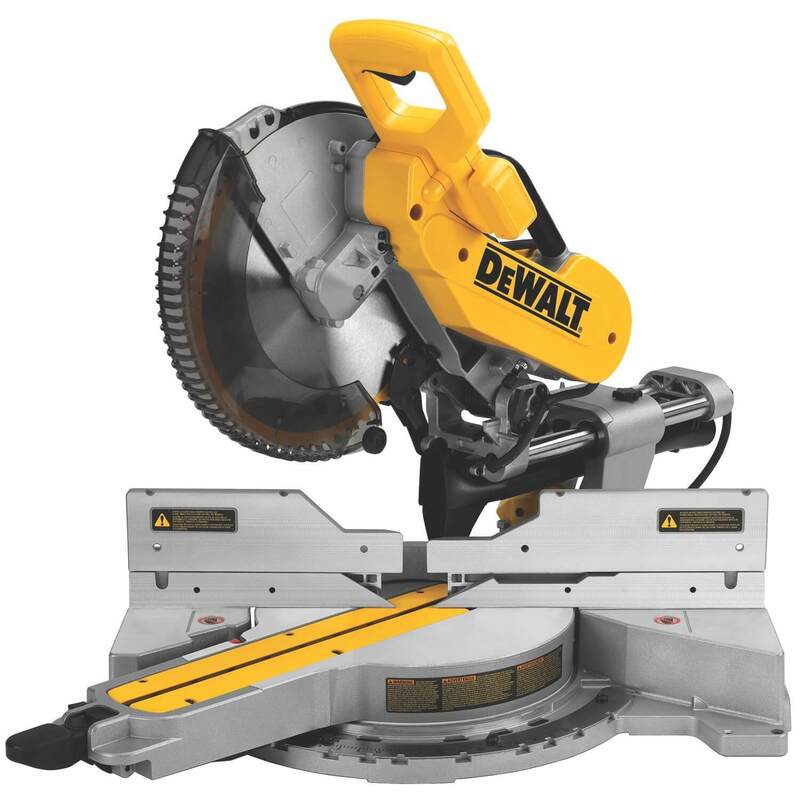 DEWALT DWS780 12-Inch Double Bevel Sliding Compound Miter Saw is a versatile Compound Miter Saw that strikes a perfect balance between fine precision and rugged durability, it’s perfect for professionals who need to perform the task quick and on-site. 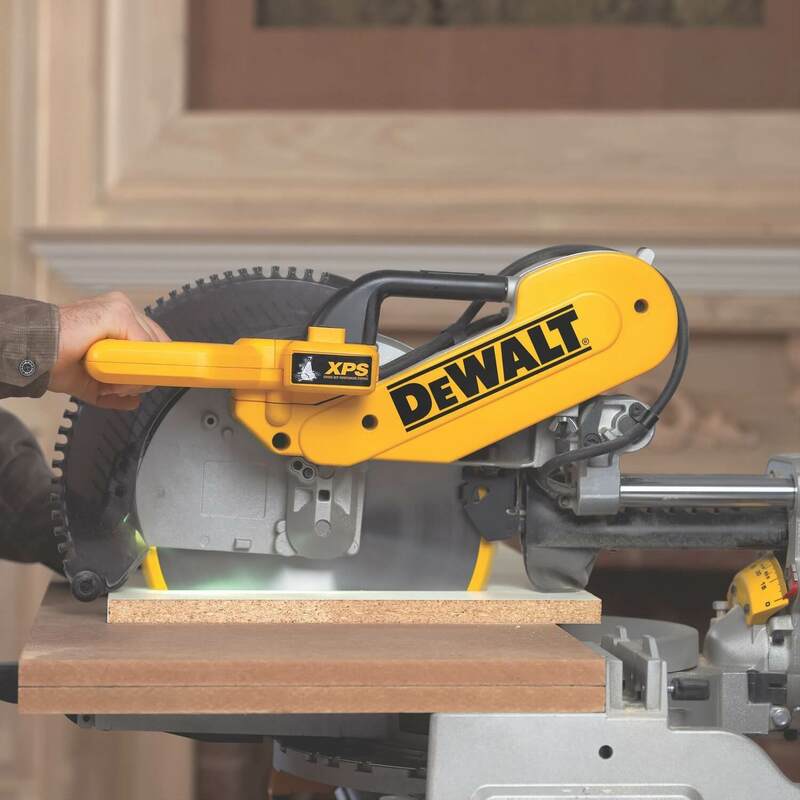 From basic woodworking to heavy-duty tasks like deck framing and building, DWS780 offers the necessary sharpness, accuracy and portability that contractors require. 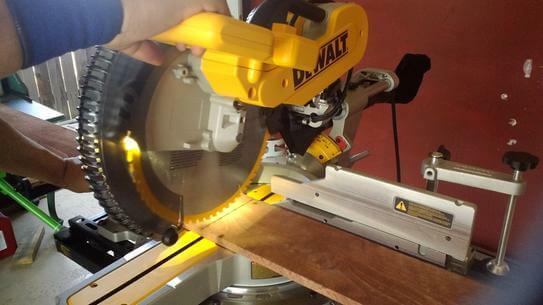 The miter saw has a strong 15 amp motor which delivers around 3,800 RPM. For convenience purposes, the power cable is connected through certain rails in the back side, hence eliminating intrusion with the slide. 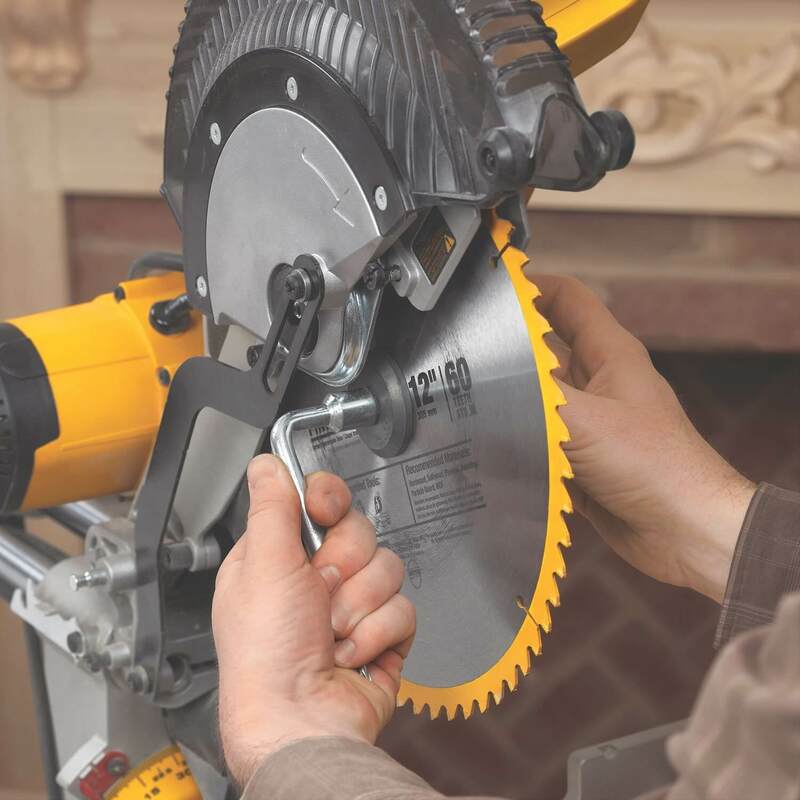 Furthermore, the saw provides an industry-leading blend of cut capacities, includes 6.75 inch vertical capacity, 7.5 inch nested crown range and 13-7/8” horizontal capacity, there’s also a unique back fence design which cuts a 2×16 range at an angle of 90-degrees and also 45-degree angle. To ease and maximize the vertical cutting capacity, this unit features a unique rail lock latch that helps in securely holding the saw-head pointing away from fence. DWS780 miter saw has an extremely solid bodywork, also featuring a new XPS dual alignment system which features improved ultra-bright LED lighting, this casts a laser-like imprint on the material surface and also shows the user exactly where the blade shall get into contact with the surface. This special alignment system needs no re-calibration after use or after alternating blades, something that makes it more precise and durable than other traditional lasers. It has a dual bevel structure that’s quite simple to see and used on multiple job site conditions, all thanks to the machine’s highly visible scale as well as easy angle adjustments. The bevel ranges from 0 to 49 degrees, and with a positive stops at multiple degree levels of 0, 22.5, 33.9, 45, and 49 degrees in either right or left directions. Furthermore, the saw has a 60-degrees miter that extends to the right-side and 50-degrees also to the left, featuring an adaptable miter detent plate that has 10 positive stops. It also has a cam clasp miter button that allows the individual to lock any angles between detents. 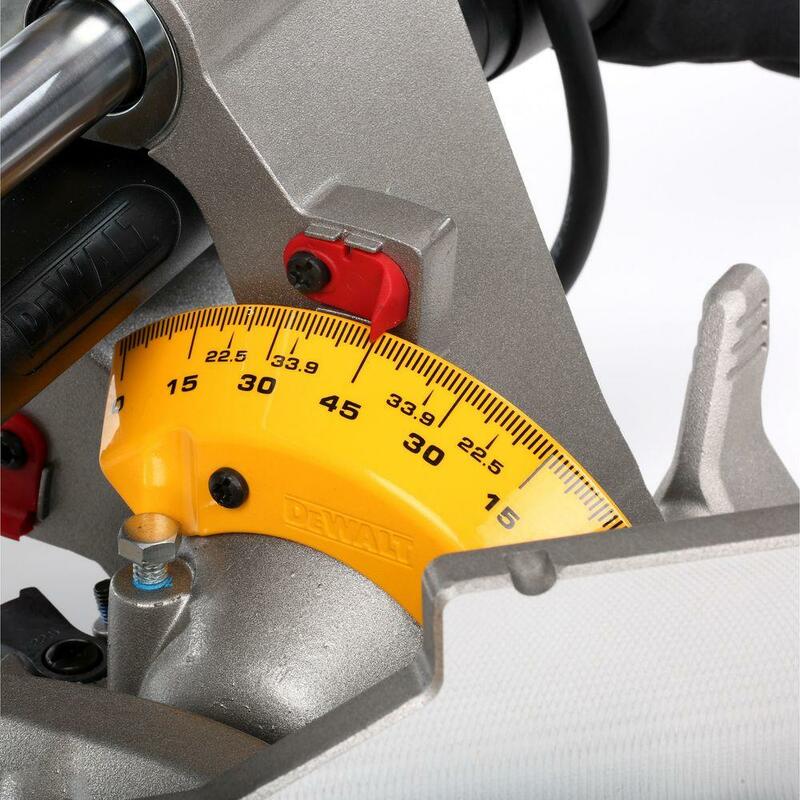 The miter detent override can as well be used to allow accurate angle adjustments, without ever falling into detents. 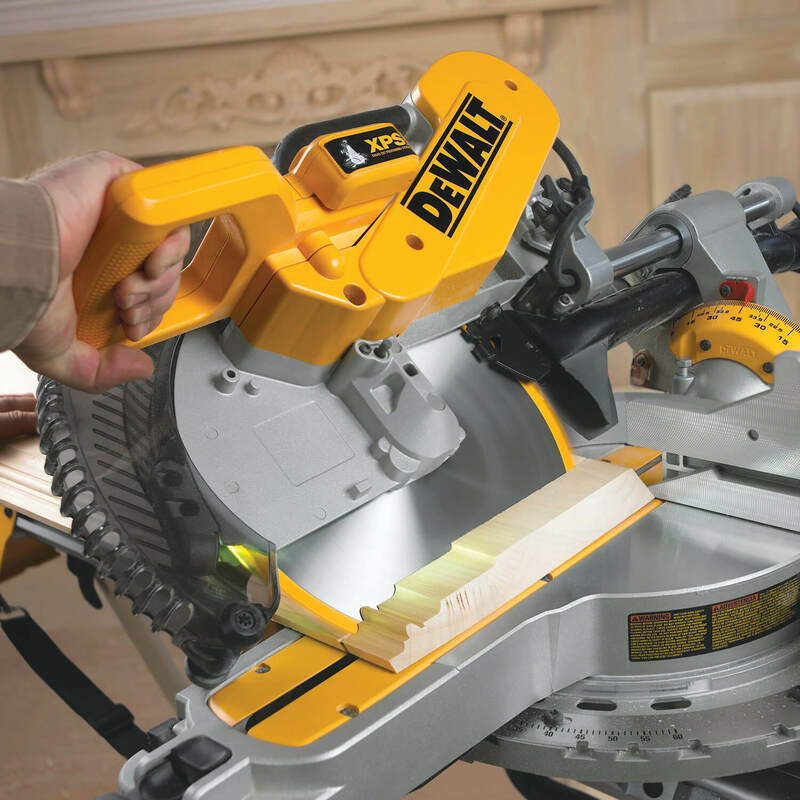 Dewalt DWS780 miter saw has very strong guards, including precise-cut castings, fences and a bevel system that’s sufficiently robust. There’s also a tough, stainless-steel miter detent plate that’s designed to withstand rigorous use on job site. I. I found out that the linear bearings found on this slide are not very durable, for instance, mine made it difficult to cut with the blade at certain positions. II. The slide is not solidly built. To me it felt sticky, rough, loud and generally befitting for a high-quality precision tool. The saw is easy to control for both righties and lefties, mainly because the trigger is both ambidextrous and has dual safety features. 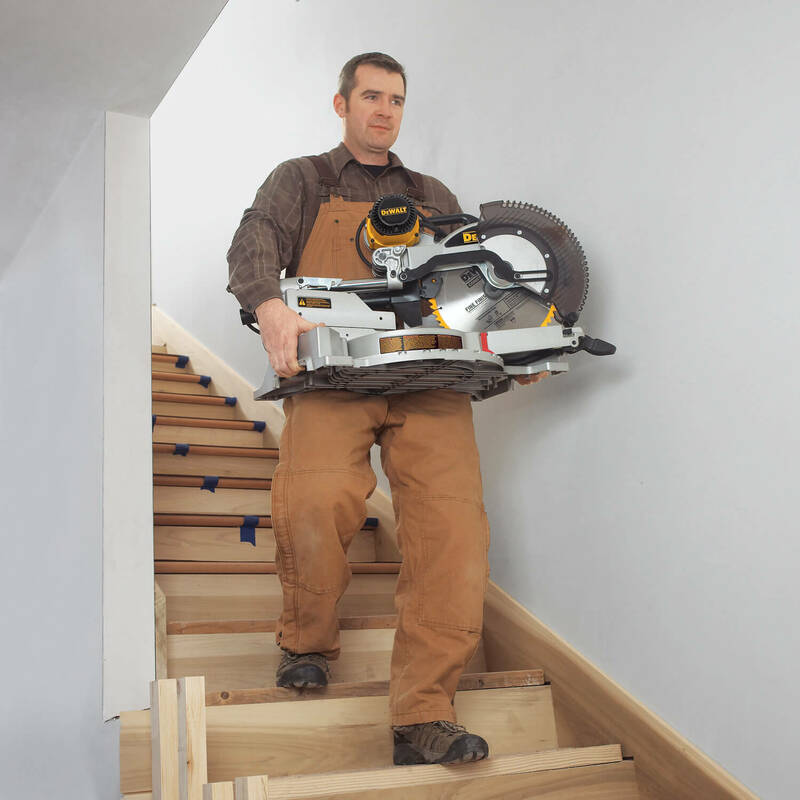 DEWALT DWS780 also has a broad fence with milled texturing that can support tall work-pieces more securely. Moreover, since the motor can be tipped both ways, its fence ‘wings’ slide more open and easily for better blade clearance. Moreover, it’s easy to warm the machine thanks to its user-friendly features starting with the controls. 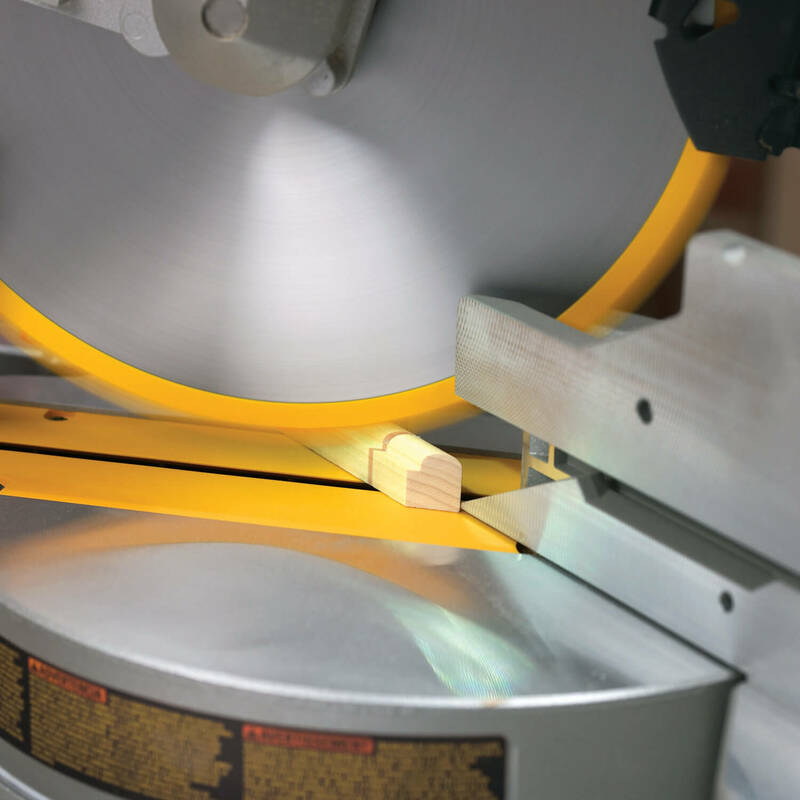 A single quarter twist on the front lock knob will release and clasp the table for secure miter cuts, later snapping back firmly to 10 detent positions after use. This is a outstanding saw currently available in the market. 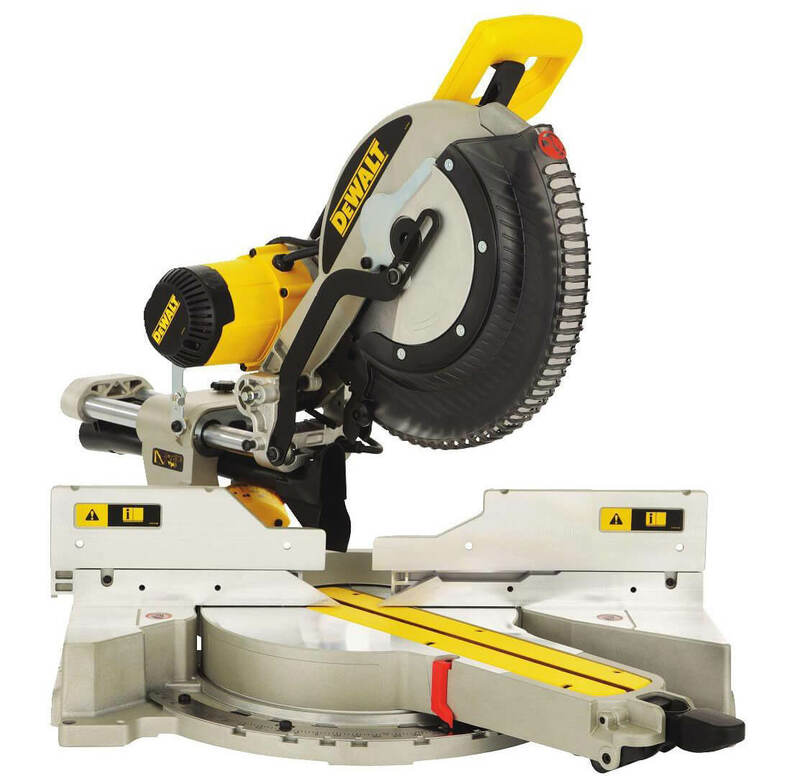 This is a saw that is suitable for anyone who are in need of miter saw. Get DEWALT DWS780 12-Inch Double Bevel Sliding Compound Miter SawBuy on amazon now!